Everyone says this but, Tanya Burr is one of my favourite youtubers. So when she came out with a range of lip-glosses & nail polishes I was obviously interested to try the products, instantly ordering 3 lip-glosses & a nail polish as soon as they came out. So what are the glosses like? Well got two nudes & a dark colour spread across the two formulas - very pigmented & glossy or glittery & slightly sheerer - & generally speaking I think these formulas are very good. 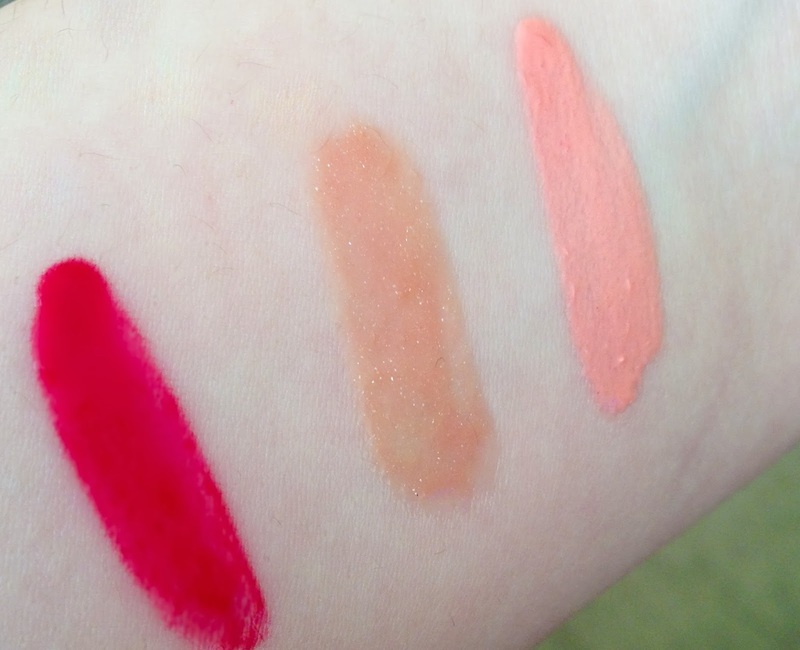 The gloss colours I have are Just Peachy, Champagne Toast & Vampire Kiss. Vampire Kiss is a creamy, very pigmented red gloss with a slight blue undertone - on me this goes patchy really fast...I'm not sure if I'm applying too much but it just doesn't work for me. Champagne Toast is a sheer, glittery peachy shade - I love this gloss & wear it a lot. Just Peachy is an incredibly pale, very pigmented creamy lipgloss - it is WAY too pale for me & if it doesn't work for me (pale as I am) I would assume that it's going to be too pale for most people. This sounds like I don't like the glosses, I do - the formulas are incredible - I just ordered shades that don't really work for me. No. Honestly I love the glosses, I think they have great formulas & great colours, but a lipgloss I can only wear on my really good days is not worth owning. However nice they are. Sorry.